I suffered from extreme insomnia for 20 years and these are the steps I took to recover. My insomnia was so bad that sometimes it would take me hours to fall asleep and some nights I would not sleep at all. I have now completely recovered and fall asleep easily and naturally, but many years ago, I took anxiety medicine and sleeping pills which had terrible side effects. I am really passionate now about helping people learn how to go to sleep easier. Even if you don’t have insomnia or a sleep disorder, these tips will definitely show you how to go to sleep easier. How to Go to Sleep Easier Tip #1 – Get light during day. Getting light during the day is a good tip for how to go to sleep easier. It really helps to get bright light during the day for at least 10-20 minutes as it resets your body’s clock. Your body gets the message that it should be alert during the day and wind down at night. Melatonin is a hormone that is involved with sleep. Light suppresses it, which is what you want during the day. You should go for a short walk at lunch time, preferably without sunglasses. Full spectrum light bulbs are also helpful, as they are very similar to sunlight. Replacing your regular light bulbs with them during the day is a good step towards how to go to sleep easier. 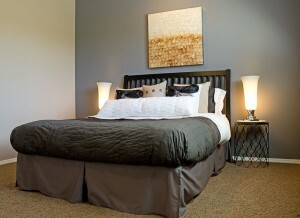 How to Go to Sleep Easier Tip #2 – Reduce light at night. Reducing light at night is a good step in how to go to sleep easier. As we talked about above, melatonin is the sleep hormone and bright light and blue light suppresses it. You should avoid light as much as possible at night for higher melatonin levels and good healthy sleep. You should sleep in a completely darkened room. It is best to get blackout curtains for your windows and close them as soon as the sun goes down. Even the tiny lights from electrical appliances and gadgets such as your wifi router, alarm clock and laptop computer can disrupt melatonin levels and sleep. I recommend getting a roll of black electrical tape and going through your bedroom and any rooms that you have to walk to to get to the bathroom, and cover these lights with the black electrical tape. If you are worried about getting up in the middle of the night and having trouble finding your way to the bathroom, or tripping, you can get a flashlight and cover the part where the light comes out with red cellophane tape. Red light has the least negative effect on melatonin levels. After spending weeks looking for tiny red flashlight bulbs, which I couldn’t find, I simply covered my flashlight with red cellophane and it worked really well. Some people think that they can just get a sleep mask and avoid all of these other steps of getting blackout curtains, covering all of your devices with black electrical tape, etc. While this will definitely help, it will not solve the problem. Studies have shown that the body senses when light is present and will stop the production of melatonin even if you are wearing a sleep mask. In a study, participants were in an otherwise darkened room and had a bright light shined on the back of their knees, and that was enough to slow down their melatonin production. A sleep mask will help but unfortunately it isn’t enough. You want your place to be so dark that you can’t see your hand in front of your face. My apartment is so dark that a couple of times I actually got lost going to the bathroom and my apartment is only 500 square feet. Sleeping in a completely darkened room is a great step in how to go to sleep easier. I also recommend getting light bulbs that don’t emit blue light. You could get these lights which look like normal regular light bulbs but they are missing blue light and won’t impact melatonin. You could also get simple amber or red light bulbs and replace some of your lights with these, and only use these lighting fixtures at night. Red light bulbs actually work better and red light is the least disruptive to melatonin production, but they don’t look as good. Candle light and fire light are also not very disrupting to melatonin. I tried using red lights in my apartment but it looked really weird bathed in red light. The amber light really gives off a nice ambiance, is relaxing and I do not find that it disrupts my sleep at all so I use these instead. In the morning I switch these light bulbs to full spectrum light bulbs. If you have a big house or feel that changing your light bulbs every night and morning is a big hassle for you, you can leave the lights alone and get blue light blocking glasses. These glasses will block out all of the blue light from your eyes so your melatonin level doesn’t get disrupted and are a good step towards how to go to sleep easier. You should also reduce the blue light coming out of your electronic devices, such as your computer, laptop, tablet or cell phone. There are free software programs that will do this for you. These are Flux and Dimmer. Flux is better but for some reason I couldn’t get it to download on my laptop so I use Dimmer instead which is still good. If you are worried that you might have a lot of trouble waking up if you sleep in a completely darkened room because you won’t be getting morning light, you can get a dawn simulator alarm clock. This is an alarm clock that has a large light bulb and you set the time you want to get up just like you would with any other alarm clock. Instead of a buzzer sounding, the light comes on and it gets progressively brighter as the morning goes on. It is a much healthier way to wake up as it wakes you up gently instead of jolting you out of sleep. These suggestions all will help you in how to go to sleep easier. How to Go to Sleep Easier Tip #3 – Get Regular Exercise. How to Go to Sleep Easier Tip #4 – Get Enough Magnesium. Getting enough magnesium is another tip for how to go to sleep easier. 75% of the population is deficient in magnesium. Insomnia is a major symptom of magnesium deficiency. Magnesium deficiency causes both trouble falling asleep and trouble staying asleep. Other symptoms are anxiety, low tolerance to stress, muscle cramping, muscle twitching, headaches, migraines, PMS, and heart palpitations. There are many factors that contribute to magnesium deficiency. Consuming too much sugar is one as sugar causes the body to excrete magnesium. Too much stress causes the body to burn it up. Alcohol, caffeine and certain pharmaceutical drugs deplete the body of magnesium. If you think you are deficient, you should check with your doctor before taking any nutritional supplements. There are also tests that your doctor can run to find out for sure if you are deficient. If do need to take magnesium and your doctor okays it, the most absorbable forms of magnesium are ionic magnesium which comes in a liquid form, magnesium citrate, and magnesium taurate. Magnesium taurate contains the amino acid taurine which can help you in how to go to sleep easier. How to Go to Sleep Easier Tip #5 – Reduce stress during the day. Reducing stress during the day is a huge part of the quest of how to go to sleep easier. Insomnia is often the result of a build up of stress during the day. If you can keep your stress levels down during the day it makes it much easier to sleep at night. You can do this by meditating, listening to a guided imagery CD, exercising, stretching or doing EFT. 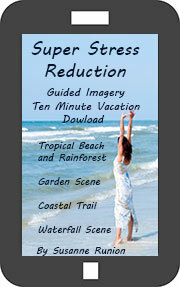 I offer a guided imagery recording that you can check out here which will help you reduce stress during the day. It contains four recordings that will gently guide you into different relaxing nature scenes, a tropical rainforest and beach, a garden scene, a coastal hiking trail and a waterfall scene. Each scene is only 10 minutes long so it is a very quick and easy way to relax. It can be easily downloaded to your computer or phone and can go a long way towards how to go to sleep easier. How to Go to Sleep Easier Tip #6 – Consider Melatonin. Taking melatonin is a good tip for how to go to sleep easier. Melatonin is the sleep hormone. As I have discussed, darkness produces it and light suppresses it. There are two types of melatonin, regular and timed release. I do not think that there are any studies to back this up, but what I found through trial and error is that regular melatonin will help you to fall asleep, and timed release melatonin will help you to stay asleep. If you want to try this, please check with your doctor first. How to Go to Sleep Easier Tip #7 – Cut your exposure to EMF frequencies. Limiting your exposure to EMFs is a good tip for how to go to sleep easier. EMFs are the frequencies given off by cell phones, electronic devices, wifi, cell phone towers and smart meters. I will be discussing ways to cut your exposure and protect yourself from these frequencies. The iPhone gives off a tremendous amount of EMF frequencies. The airtube headset will block 95% of these frequencies. I have been using this for over a year, have read a lot of research about this, and definitely feel it is the best headset on the market. I also recommend turning your phone off as much as possible when you are not using it. If you frequently use a laptop computer and set it on your lap, I recommend getting this shield. It will block almost all of the frequencies from hitting your body, and is a great step towards how to sleep better. I have been using it for over a year and it has helped a lot. You should also unplug your wifi when you go to sleep at night. I have been doing this for several months and it has made a huge difference. I even unplug it when I go to work because I don’t want my cat to be exposed to unnecessary EMF radiation. There are also pendants that you can wear that will protect you from these frequencies. I use both the Rejuvenizer, and the eForce. The Rejuvenizer is great because it is very pretty and looks like an opal. It is completely not obvious that it is an EMF device which is great when you are in a conservative environment and don’t want to explain what the weird looking pendant is that you are wearing. The Earthcalm is also a very good pendant. Another tip towards how to go to sleep easier is to stop using all electronic devices such as laptop computers, tablets, iPhones, and TVs within 3 hours of going to bed as often as possible. You should also remove as many electrical devices from you bedroom as possible. iPhones, tablets and laptop computers give off huge amount of EMFs and should never be left in your bedroom when you are sleeping. Basically, any electronic device can disrupt your sleep so even lamps and alarm clocks should be minimized. In my bedroom, the only devices I have in there are a battery operated alarm clock, a battery operated CD player, a battery operated sound machine and a regular lamp, and I am about to get a battery operated lamp. Smart meters give off a large amount of EMFs and have caused a lot of health problems in people. They also cause disrupted sleep. If you have a smart meter within 30 feet of your bedroom, you should move your bed if possible, or consider getting the smart meter removed. At the time of this writing in California, PG&E will remove for a one time fee of $75 and a monthly charge of $10 if you call and ask. My boyfriend had two smart meters right outside of his living room where he would sit for hours doing computer work, and he called PG&E and was able to have it removed. I am not sure if this will work outside of California or outside of the US, but it is worth trying. Sometimes it isn’t possible to get your Smart Meter removed. Some people live in apartment complexes that have multiple smart meters and the other tenants won’t agree to removing because they don’t understand the danger and because of the fees. If this is the case for you, you can get a device called Earthcalm. This device plugs into the wall and harmonizes the EMF frequencies so that they are no longer harmful. I rented office space that had this problem. A few months after moving into this space, my sleep dramatically worsened. Like I said earlier, I suffered from extreme insomnia for 20 years but it was the type of insomnia where I had trouble falling asleep. However, once I fell asleep, I would sleep soundly through the night. One night there was an earthquake and that didn’t even wake me up. When I moved into this new office, I suddenly started waking up 5-6 times a night and could not get back to sleep. I also developed a severe skin rash and heart palpitations, but western medicine could not find anything wrong with me. I suspected that EMFs might be the problem so I bought a meter to test them. The numbers were through the roof. In the US, there aren’t any laws or regulations, so if you end up in this situation, legally there isn’t much you can do. I called a friend who used to work at PG&E as an Engineer who is now an Energy Healer. She recommended I get the Earthcalm, and shortly after I started using it, I started sleeping through the night again, my skin rash quickly went away, and all of my heart palpitations stopped. If you want to learn more about how to protect yourself from EMF frequencies, check out the book, Zapped by Anne Louise Gittleman. How to Go to Sleep Easier Tip #8 – Engage in Self-Hypnosis. 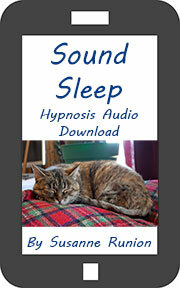 Self-Hypnosis is a powerful tool for how to go to sleep easier. Hypnosis guides you into a deep state of relaxation where positive suggestions on how to sleep better are gently introduced into your subconscious. When your mind is in this deeply relaxed state, it is much more open to positive suggestions. Hypnosis also helps to reduce stress and anxiety which often prevent people from sleeping. I am also a Certified Hypnotherapist and have a self-hypnosis sleep recording available here. This has helped many of my clients and myself sleep better and get over insomnia. How to Go to Sleep Easier Tip #9 – Keep a sleep journal. Keeping a sleep journal really helps you get to the root of your sleeping problems and will uncover many hidden issues for how to sleep better. You should track things like the foods you eat throughout the entire day, the times you eat, and the approximate amount of calories, carbs and grams of fat you are consuming. You should track substances you consume like caffeine and alcohol, including the amounts and time of day you consume them. You should track the exercise that you do, including the type and amount, and the time of day. You should also track your stress level and the things you are worried about, etc. I bought a water cooled mattress pad. I set turn it on shortly before I get into bed and it is set on 62 degrees F. My deep sleep has increased significantly. I also can keep the house warmer, so my electric bill should be less. This is a great tip, thanks for sharing.